This treatise is a subjective attempt to summarize thoughts on the future of meiobenthology. 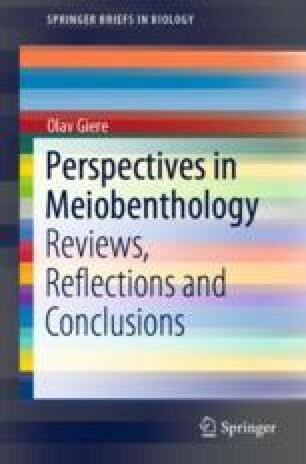 Based on recent publications in the field, it tries to reflect the state of the art, indicate gaps and risks and outline promising perspectives and potentials in meiobenthology. Therefore, the papers mentioned are examples demonstrating the lines of reasoning and the reference lists are selective without claiming completeness. These papers will be characterized briefly, though usually not commented in detail. In order to make each chapter a fairly independent and separately readable unit, a certain overlap in their contents and references listed is deliberate.